Create your card in a few clicks, using the "ADD CARD" form that you will find in the right-hand column, and select the services you wish to purchase. If you are travelling with other people, they must also create their own cards. For further details see "HOW TO BUY"
(*) The percentage of savings refers to the difference between the cost of the services when purchased as a package and the sum cost of the same services when purchased individually at full price. Children under the age of 6 travel free. People in wheelchairs pay € 1,50 and tickets are valid for 75 minutes from validation, during which passengers are entitled to use all of Actv's waterborne services (except the Alilaguna lines, and routes 16, 19, 21, Casinò).Ticket may be purchased at the Venezia Unica Ticket Offices. Concession: free travel for carers. Reduced ticket: for students under 26 years and people over 65 years. Reduced ticket € 13,00: Senior visitors over 65 yrs. The tour includes the Foyer, the Opera House, the Royal Box and the Sale Apollinee. The visit lasts approximately 45 minutes. Free entrance for children 6 years and under. People in wheelchairs can visit the Foyer, the the Opera House and may use an elevator to reach the Sale Apollinee. Free entrance for carers. - Reservation is necessary: Please select the date on the schedule.The Ticket is valid for a 30 minutes visit during the day that you will choose and written on your Voucher [admission to the Staircase every 30 minutes, maximum 35 people at a time]. - Purchasing the ticket "Scala del Bovolo + Oratory of the Crociferi", the visit to the Oratory is not bound by the timetable chosen for the visit of the Scala Contarini del Bovolo. The Oratory is open Friday and Saturday from 10:00 to 13:00 and from 14:00 to 17:00. Free Admission: Children 0 - 11 years old are admitted free and must be accompanied by an adult. Each adult can accompany up to 2 children under 12 years. Guided tour in Italian, English, and French, - looking out over the mudflats and shoals of the Palude della Rosa, with an explanation of how the Venetian lagoon was formed from a hydrogeological perspective, and a short history of Torcello. The tour lasts 55 minutes. The tour lasts 15 minutes. NOT INCLUDED: ACTV Services from / to Marco Polo Airport, water-buses no. 16, 19, 21, Casinò and Alilaguna lines. IMPORTANT: Tickets must be validated before boarding ACTV public transport. Included in the price is the transport of one item of luggage the three dimensions of which must not exceed the sum of 150 cm. - Children below the age of six travel free. - The Rolling Venice card entitles holders to purchase a discounted ACTV 3-day ticket (72hrs) at the price of € 22,00 instead of € 40,00 (only at Venezia Unica ticket points). - People in wheelchairs pay € 1,50 and tickets are valid for 75 minutes from validation, during which passengers are entitled to travel on all of Actv's waterborne services (except routes 16, 19, 21, and the Alilaguna or Casinò lines). You may purchase this ticket at the Venezia Unica Ticket Points. Concession: free entrance for carers. There is a limit of 60 tickets per single Voucher. For quantities greater than 60 tickets, please contact the back office at the email address ticketing@velaspa.com so that tickets may be purchased and printed ahead of time, and delivered for collection at the most convenient Venezia Unica Ticket Point. For quantities greater than 60 tickets, you must contact the back office at the email address ticketing@velaspa.com, so that tickets may be purchased and printed ahead of time, and delivered for collection at the most convenient Venezia Unica Ticket Point. How to order TICKETS FOR GROUPS: For large groups, there is no need to specify “name” and “surname” for each individual card/client. Just fill in the “name” field with the name of the Agency/Group and the “surname” field with a progressive number (1, 2, 3, …). IMPORTANT: Remember to validate tickets before boarding ACTV waterbuses and buses. NOT INCLUDED: ACTV Services from / to Marco Polo Airport, bus routes no. 16, 19, 21, Casinò and the Alilaguna lines. PLEASE NOTE: ALL MEMBERS of the GROUP must travel together and carry a list of participants drafted by the organization of the Group, and signed by the group leader. GROUPS OF STUDENTS from EU Countries. List of participants on school letterhead paper required. Minimum group size: 10 students. - Children below the age of six travel free on urban routes. - People in wheelchair pay € 1,50 and tickets are valid for 75 minutes from validation. In the time available, passengers can use all of Actv's waterborne services (except those of route Alilaguna, 16, 19, 21, and Casinò).You can purchase this ticket at Venezia Unica Ticket Points. Facilitation provided: free entrance for carers. PEOPLE MOVER: Cable Car connection from/to PIAZZALE ROMA - MARITIME CRUISE TERMINAL - TRONCHETTO (outward or return path). RED Line: Marco Polo airport - Murano Museo - Lido Santa Maria Elisabetta - Giudecca Zitelle or vice versa (This route is seasonal and only operates from April through November). IMPORTANT: The Ticket must be validated before boarding the Alilaguna waterbus. Children below the age of six travel free. IMPORTANT: The Ticket must be validated before boarding the Alilaguna boat. 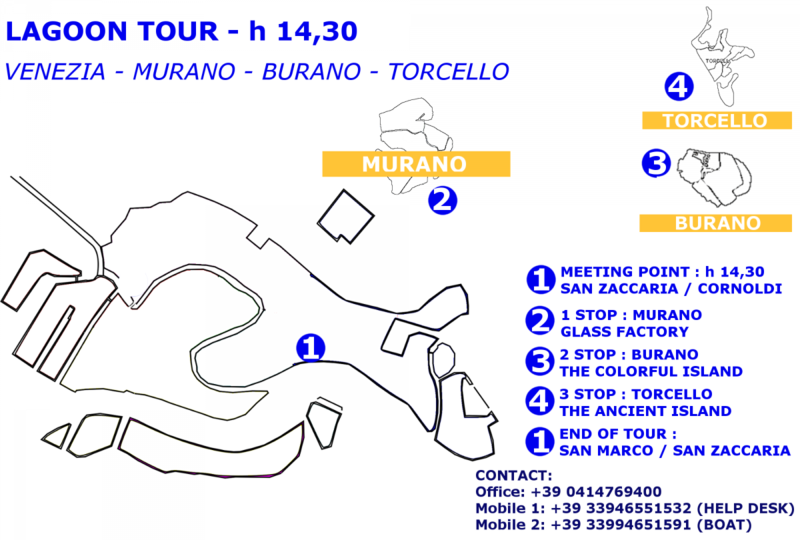 NOT INCLUDED: ACTV Services from / to Marco Polo Airport, routes no. 16, 19, 21, Casinò and Alilaguna lines. 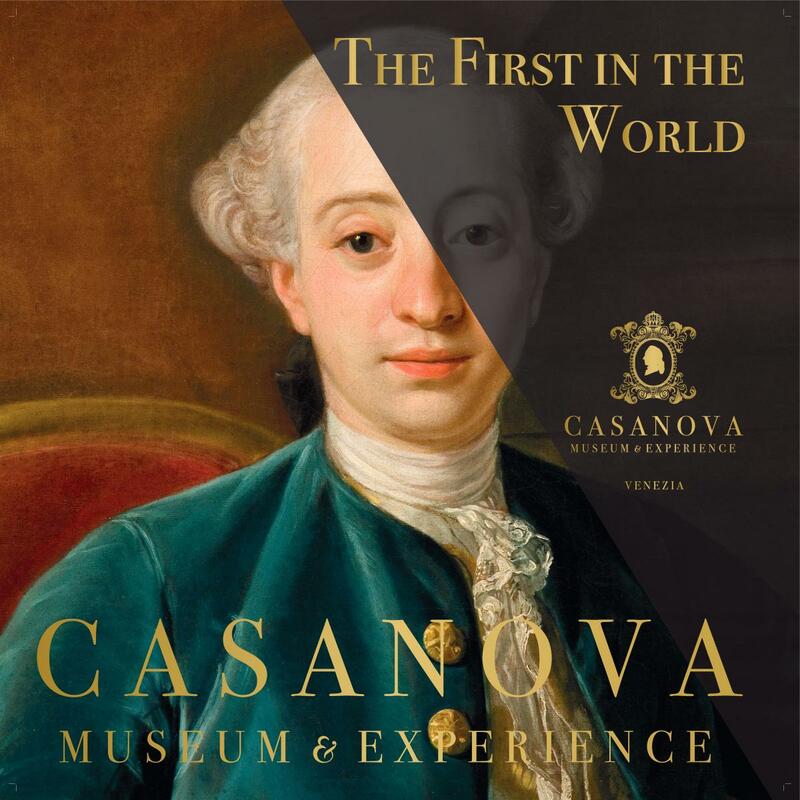 NOT INCLUDED: travel originating and ending at the “Marco Polo” Venice airport and the “Antonio Canova” Treviso airport. IMPORTANT: Tickets must be validated before boarding ACTV/ATVO public transport. The validity of Tickets starts from the exact moment they are first validated. IMPORTANT: Remember to show your Venezia Unica Voucher to the bus driver ATVO before getting on the bus.. Included in the price is the transport of one item of luggage (maximum size cm. 50 x 45 x 25). For each passenger, a ticket must be paid for every two bags of a maximum size cm. 85 x 45 x 25. - Children below the age of four travel free. Included in the price is the transport of one item of luggage (the sum of length, width and height must not exceed 150 cm). - The Rolling Venice card entitles holders to purchase a discounted ACTV 3-day ticket (72hrs) + Airport Transfer one-way (only at Venezia Unica ticket points). IMPORTANT: Remember to validate tickets before boarding ACTV waterbuses and buses..
- The Rolling Venice card entitles holders to purchase a discounted ACTV 3-day ticket (72hrs) + Airport Transfer (only at Venezia Unica ticket points). For quantities greater than 60 tickets, please contact the back office at the email address ticketing@velaspa.com ,so that tickets may be purchased and printed ahead of time, and delivered for collection at the most convenient Venezia Unica Ticket Point. 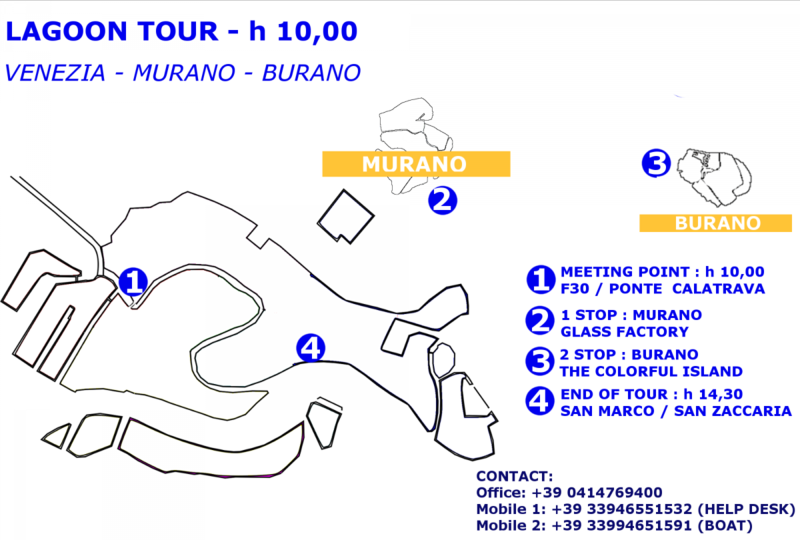 The tour includes a visit to the two cloisters, the Palladian refectory with the Wedding at Cana, the photography room, the Scalone and the Longhena Library, the New Manica Lunga and the Labyrinth Borges. Treasure Hunts for the whole family in Venice. An unconventional way to get to know the city: let’s all play together! - Castello Sketch Hunt is held in ENGLISH only. A dreamy setting for an unforgettable dinner! - ONSITE: you need to convert your voucher with regular tickets at one of Alilaguna Ticket-offices. Here you could choose your favourite place of departure, hour and language (subject to availability). - Reservation is necessary: Please select the date on the schedule. - The price includes: navigation, guide service and entrance fees to visited Villas. - Please consider that the navigation is one way only. Guests are free to choose time and transport for their return trip. The main means of transportation are: buses (they run frequently; it takes about 1 hour from Venice to Padua) or trains (about 30 minutes). N.B. : in March and after October 25th, on the routes “Venice Padova” and “Oriago Padova”, the boat will not stop for the visit of Villa Widmann. Travel and explore the wonderful historical, artistic and cultural heritage of the Riviera del Brenta! VilleCard is a discount card to visit the noble houses along the Brenta offering reduced admissions to the villas, discounts on bike rental, on cruises along the Brenta, in the shops and the restaurants participating to the network. The daily rate allows you to park for 24 hours from the time you enter the garage. Reservations may be made for one or more days. To book a parking space, specify the date of arrival and the date of departure from the garage. It is forbidden to move vehicles during the stay in the garage (if necessary, separate bookings must be made for each day). The daily rate is the minimum fee. The final cost will be calculated on the basis of the total number of days the automobile was parked in the garage. The 24 hours begin from the moment the ticket is issued at the Autorimessa Comunale parking garage. Piazzale Roma, Santa Croce 496, 30135 - Venice. Open 24 hours a day, every day of the year. The Night Fee allows you to park from 5 pm to 5 am. If the automobile remains in the garage after 5:00 am, you must pay the full daily rate. To book a parking space, please specify the date of arrival. The Night Fee is the minimum rate. The final cost will be calculated on the basis of the actual time the automobile remained in the parking garage. Piazzale Roma, Santa Croce 496, 30135 - Venezia. Enter the parking garage in the priority fast lane (‘INGRESSO ABBONATI’ lane on the left). Wi-Fi Venezia provides Internet access in the Wi-Fi areas of Venice respectively for 24 hours, 72 hours or 7 days consecutively from the moment you first connect. To add products to the cart, you must first select your card. If you do not have a card, create one by inserting your name in the "ADD CARD" box on the right and click "CREATE CARD"